*** UC at $434,000 and through inspection when buyer lost financing *** This turnkey home is an absolute gem within the Mountain Vista school district in a quiet and picturesque Highlands Ranch neighborhood. 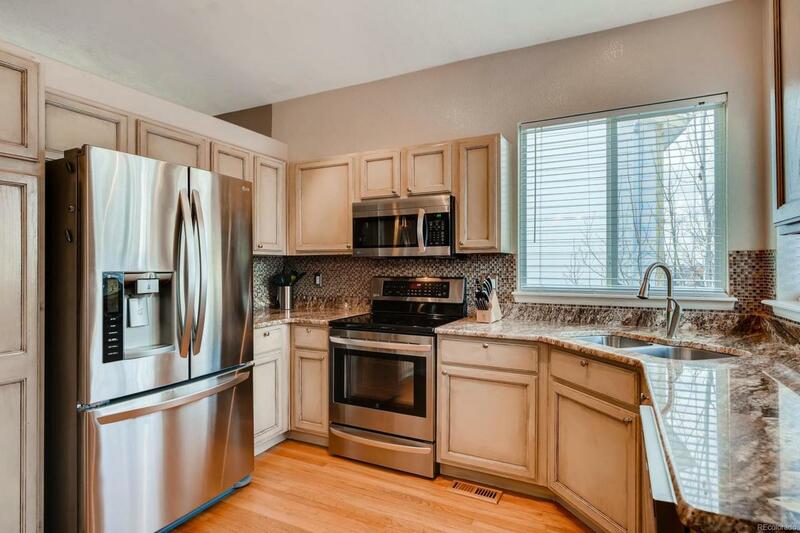 The home is close to great restaurants, 2 rec centers, shops and running trails. With a wide open floor plan, it features 20-foot ceilings on the main floor which is bathed in natural light from several windows. The gourmet kitchen features beautiful granite countertops, tons of cabinet space and pristine LG stainless steel appliances. It is a great floor plan with three bedrooms upstairs, but the highlight is the oversized master suite which boasts its own en-suite bathroom and large walk-in closet. The home has been meticulously cared for and has wonderful extras like a finished basement, oversized 2-car garage, gas fireplace in living room and great outdoor space in a private back yard. Compare this home to anything else in the price range and you will not be disappointed!